The San Francisco Children’s Art Center has a long history of providing financial aid to families so that as many children as possible may attend classes at our Fort Mason Center studio. The Board and staff are deeply committed to opening the opportunity for creative exploration to children whose families may otherwise not be able to enroll them. 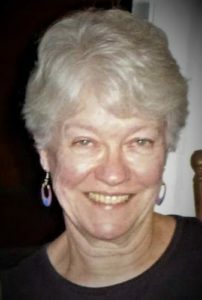 The scholarship program is named in honor of Margaret Kendrick, a former Board of Directors President and devoted advocate for the organization. Margaret’s pet project in her long tenure with the Art Center was seeking funding for scholarships to make creativity accessible for all children. Over the years the fund has been sustained by individual gifts and foundation support. Each year, annual appeal donors may earmark their contribution to the scholarship fund. The Art Center is honored to acknowledge the current and past support of the scholarship fund by the Kazan McClain Partners’ Foundation. The Art Center’s goal is to provide assistance to as many families as possible. Full scholarships are awarded as needed although most awards are for partial scholarships with the family contributing an amount that fits their budget. If you have any questions about the scholarship program, please don’t hesitate to call the office at (415) 771-0292 or send an email to sfcac@childrensartcenter.org.